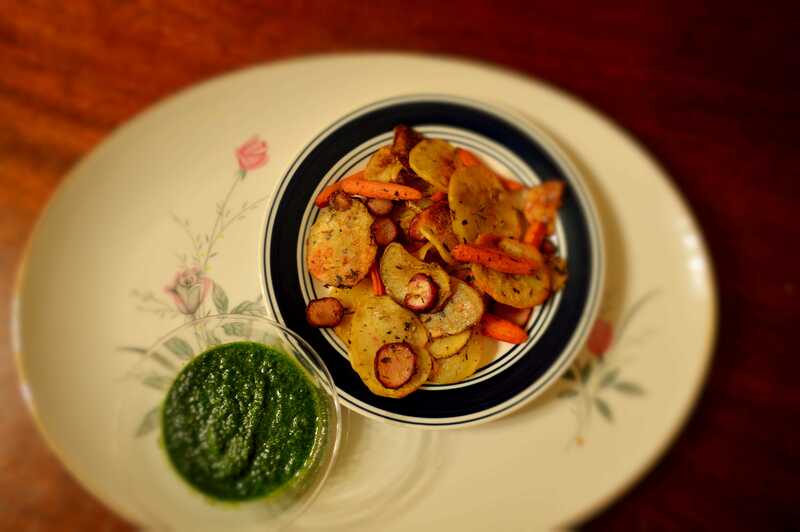 Mouthwatering Monday – Baked Veggie Chips | My Journey So Far…. Kids love Chips. If allowed they can live on just chips. Are they tasty? Yes. Are they addictive? Yes. 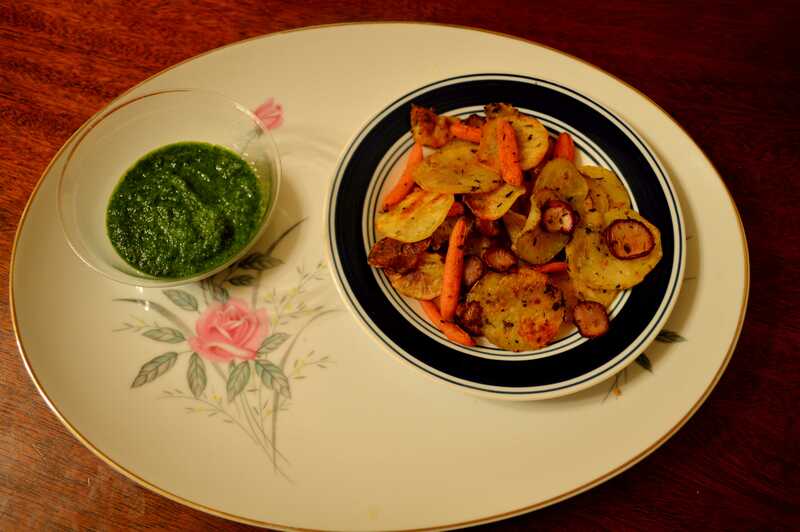 You can use vegetables like Potato, Radish, Zucchini, Carrot or any other of your choice. Cut your vegetables in thin slices or in shape of your preference. Wash them with water and then rinse thoroughly. Sprinkle some salt and let them rest for 5-10 minutes. Remove excess water, if any. Spray baking Pan with some oil and lay your veggie chips on it. Sprinkle little salt and try some herbs if you want, like I have used Thyme here. Bake for around 40 minutes, or when veggies turn a little crispy. Remember, some vegetable need more time in oven so just put them in different pans, if you can, and bake them till they are crisp. Let them rest for 2 minutes, and then serve with a dip or chutney.